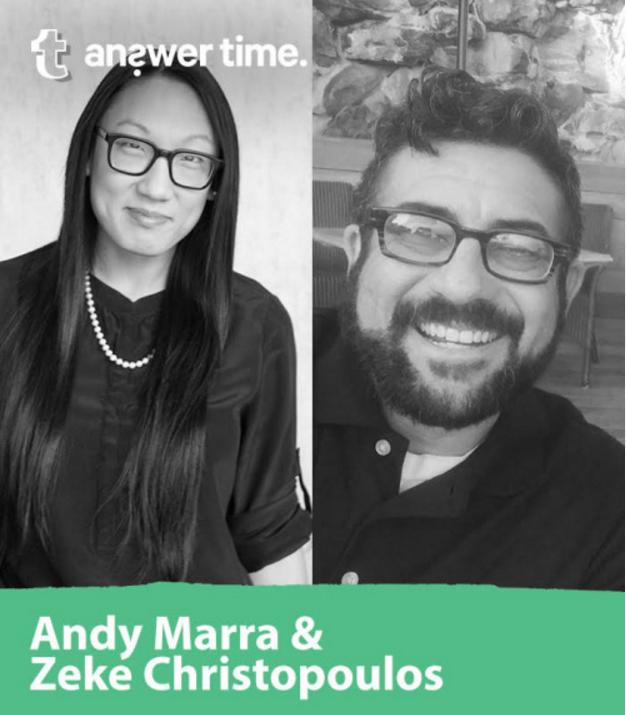 Last week transgender rights advocates Andy Marra and Zeke Christopoulos hosted Tumblr’s “Answer Time,” a community-driven Q&A series with celebrities, public officials, activists and other movers-and-shakers. Andy Marra sits on Freedom for All Americans’ board of directors. Zeke Christopoulos was recently featured in a television ad showcasing his struggle to comply with North Carolina’s notorious House Bill 2, which stripped municipalities of the ability to establish LGBT-inclusive non-discrimination protections and prevents transgender people from using restrooms that are consistent with their gender identity. The ad was co-produced by FFAA. They answered questions and gave advice on a range of issues, from health care providers looking for insight into what the transgender community needs from them, to young people experiencing anti-transgender discrimination. Andy and Zeke’s AnswerTime Q&A was part of FFAA’s June partnership with Tumblr intended to raise awareness about issues affecting the LGBT community—particularly the transgender community—by promoting positive LGBT content across the entire Tumblr platform. This partnership is sponsored by the Transgender Freedom Project, a $1 million effort dedicated to furthering public understanding about transgender people and the need for transgender-inclusive nondiscrimination laws.